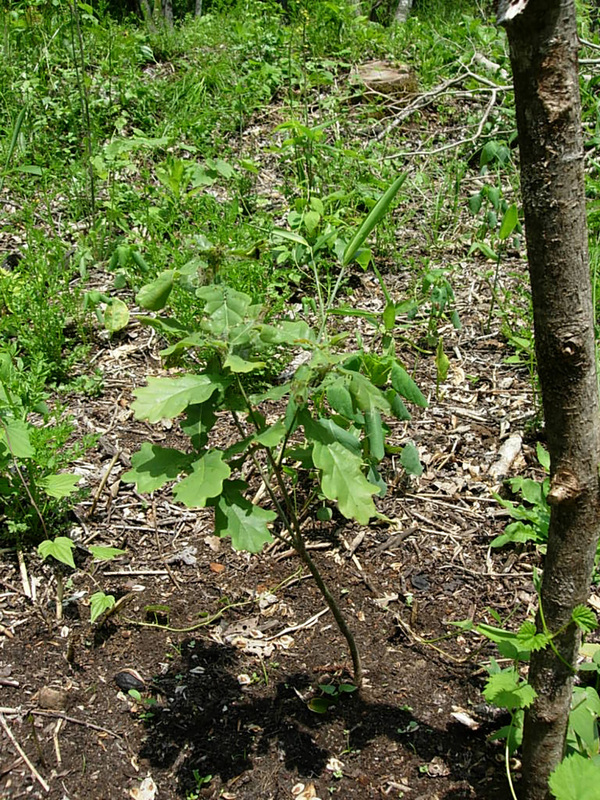 Basically, our Afan woodland is dedicated to indigenous Japanese trees; however, a few foreign trees have been planted for educational purposes. One of these is the English oak (Quercus robur), which is the most symbolic tree of Britain, where I was born and raised. In many western countries you will see golden oak leaves and acorns decorating the epaulettes of leading military and police officers. Back in the times of Admiral Horatio Nelson, whose fleet, in 1805 defeated Napoleon’s alliance of France and Spain, in order to build a single hundred gun battleship such as Nelson’s own flagship HMS Victory took some two thousand mature oak trees, aged between a hundred and fifty and three hundred years old, plus seven hundred other trees such as elm and pine. Oak was the most highly prized and used hardwood. 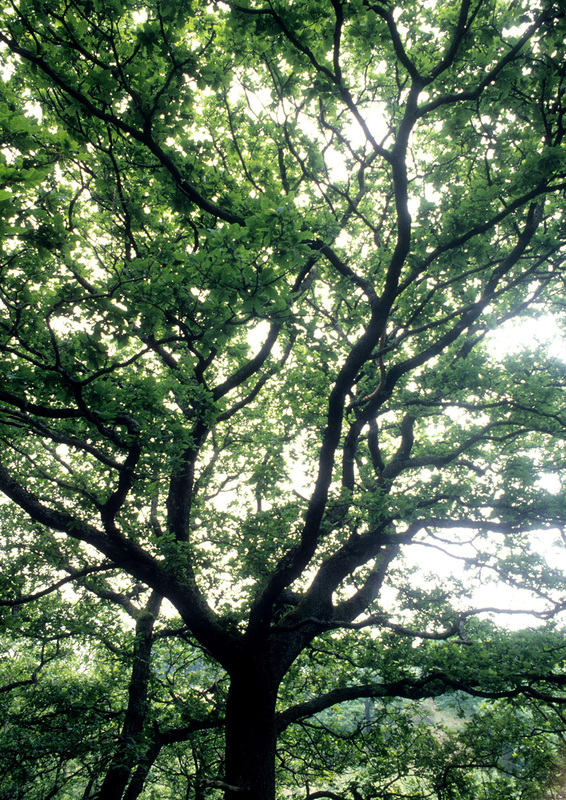 In 2001 some two hundred oak saplings were brought into Japan and nurtured for a year in a Saitama nursery. On January 30, 2002 an oak sapling was planted in the compound of the British Embassy in Tokyo to celebrate the one hundredth anniversary of the Anglo-Japanese Alliance, an alliance that was particularly important to the navies of Japan and Britain. 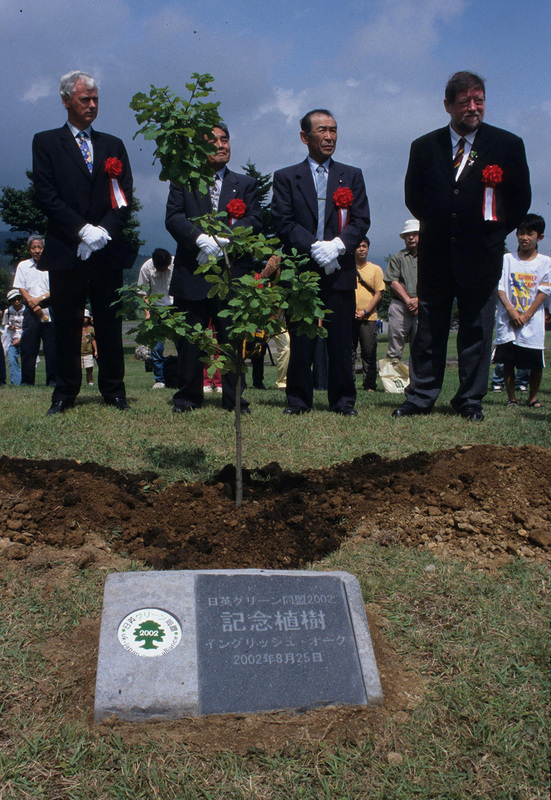 The planting of this oak was carried out by Sir Stephen Gommersal, the British ambassador, Kawaguchi Yoriko, then Minister of the Environment, a young boy from Okinawa, an elementary headmaster from Hokkaido and me, C.W.Nicol. I also helped plant English oak trees near the Douwa Kan in Kurohime, at the Marine Self Defense Force College in Etajima, in the grounds of Sanden Co. Ltd. in Gunma, and in our own woods. During 2002 English oaks were planted in two hundred locations all over Japan, principally with locations that had ties to Britain. This movement was called the ‘Green Alliance’ and I was one of the perpetrators. As the C.W.Nicol Afan Woodland Trust is ‘twinned’ with the Afan ar Goed Woodland Park in Wales the oak also symbolizes this alliance. What with its use as timber, its value in acorns for wildlife and traditional domestic animal, feed, especially pigs, as well as for other uses such as the use of oak bark for tanning leather, the oak is probably the most historically valued tree not only in Britain, but through most of Europe as well, certainly for those nations that had navies during the era of sailing ships. Our now retired forester, Mr. Matsuki and I discussed all of this when we did the planting. 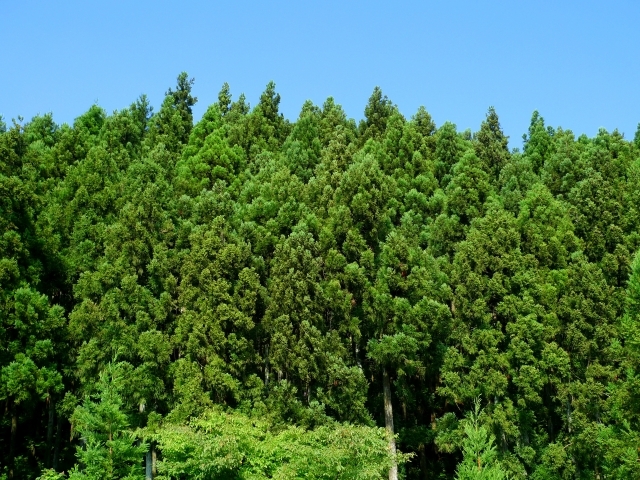 We both thought the tree would be valuable for education and as a topic for forest conversation, and Mr. Matsuki pointed out that if in the future the English oak grew and multiplied and became a problem, they could always be cut down and used for furniture, charcoal or just firewood. 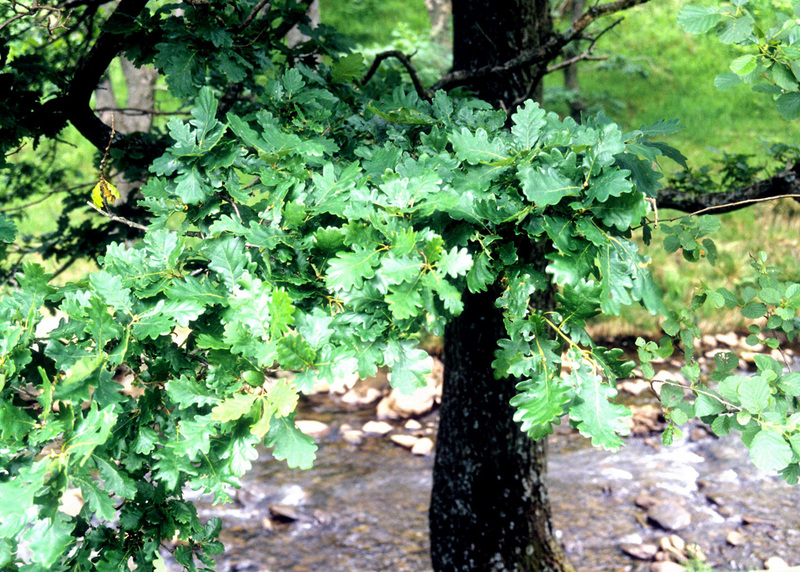 So far the only concern we’ve had with the English oak in the Afan woods here in Pagano is that the it seems vulnerable to a parasitic disease that causes ugly knobs on some of the branches. In all the other parts where I helped plant an oak, as well as in other sites that I’ve visited, the trees are flourishing.